In October 2010, Architen Landrell was approached by Fabric Structure Systems based in New Zealand, to assist with the design, manufacture and supply of the ETFE roof and wall panels for a brand new hospitality venue for the Rugby World Cup 2011. Totaling over 1,300 square metres, the ETFE foil forms part of the 8,500 square metres of PVC coated polyester cladding to the structure. Known officially as the Cloud due to its curvy, low, ephemeral form, the entire structure was designed as a temporary venue with the ability for it to be relocated and reused after the World Cup. With this in mind, fabric, as a flexible and durable building material, seemed the obvious choice and by combining PVC coated polyester and ETFE foil the architects were able to achieve a variety of light levels and different atmospheres within the space. 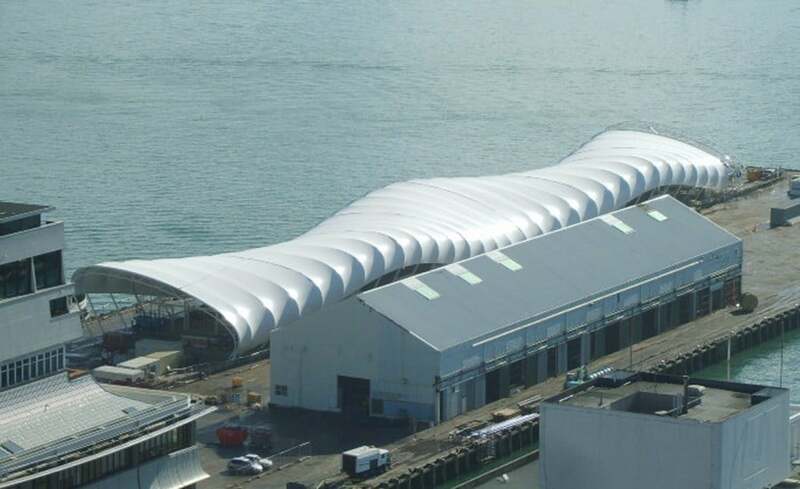 The Architen Landrell design team worked closely with Fabric Structure Systems to create a workable solution that could be manufactured in the UK, shipped to New Zealand and installed by a relatively inexperienced installation team. Communication between the two companies was not always ideal due to the physical distance and time difference. However, using online collaboration software, carefully timed phone calls and 3D CAD modeling techniques, most issues were resolved without too much difficulty. Manufacture was carried out in our Chepstow-based factory and the ETFE panels were shipped to New Zealand in batches to allow a staged installation. 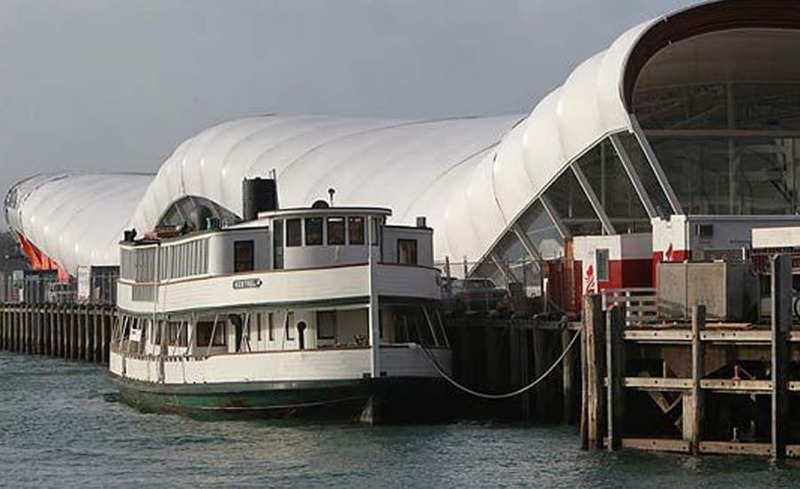 Project Manager Mark Jenkins spent several weeks onsite in New Zealand training and working with Fabric Structure Systems staff to educate and bring them up to speed in the installation methods required for ETFE foil which is quite unlike other tensile fabrics! Despite the odd onsite hiccup, Mark and the rest of the UK based team, worked to achieve suitable outcomes shipping out additional materials when required and liaising closely with Fabric Structure Systems to ensure changes to the membrane or installation method were viable from both a cost, design and safety point of view. Working on this prestigious project was a golden opportunity to be involved with history in the making. 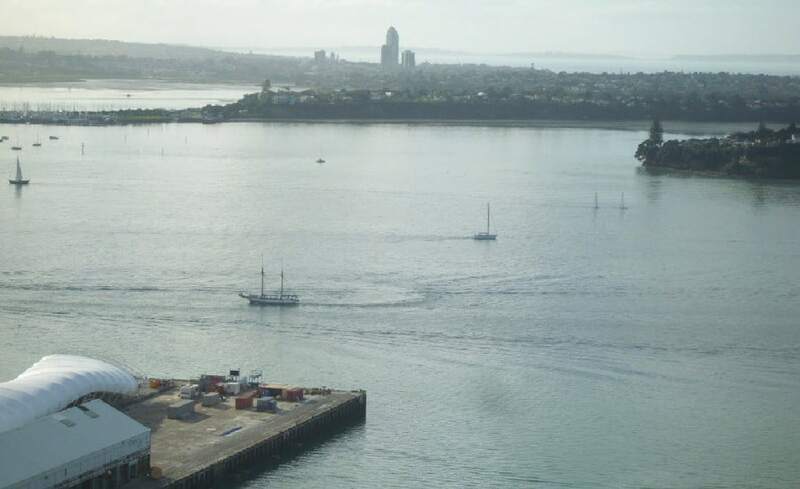 The original Queens Wharf was built in 1852 and constructed from wood, then replaced in the early 1900s with a ferro-concrete wharf. 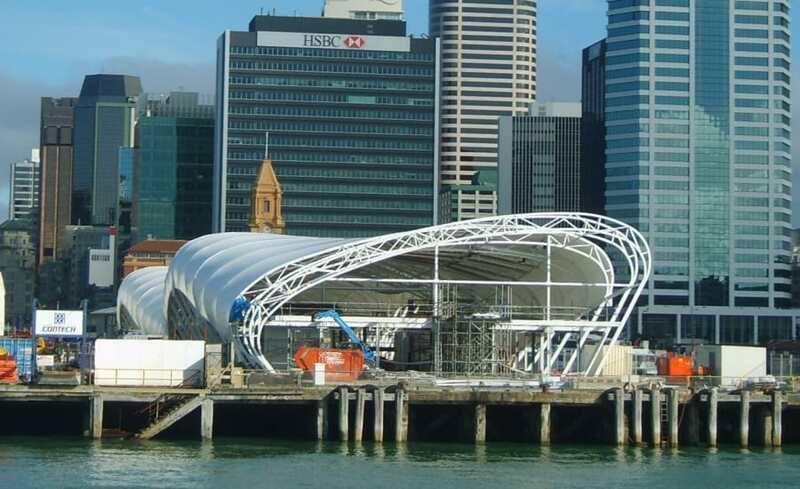 The wharf has undergone a rigorous program of repairs and maintenance to enable the site to be used as the Fanzone for the duration of the Rugby World Cup 2011 and the Cloud structure provides the centrepiece for this important sporting destination! It cant be denied that this project was a big learning curve for both companies but by working closely together, the ultimate goal was realized and the project was a complete success. 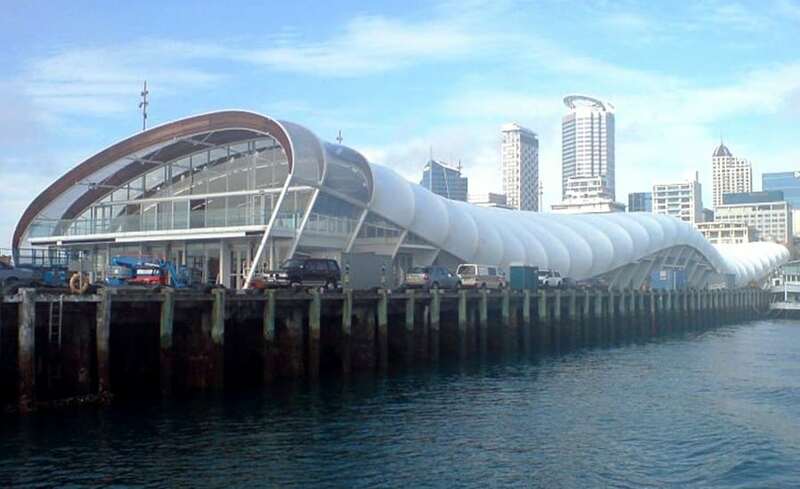 Using this project as a basis, our two companies have formed a partnership with the aim of supplying single layer ETFE and ETFE cushions to the New Zealand market.